How easy is it to transition from mainstream to SEN? There’s an increasing number of teachers moving from mainstream teaching to special education. This is down to a number of reasons, the most pertinent reason being the positive impact you have on students. Faye, our Senior SEN Specialist for Leeds has extensive knowledge and experience working with Specialist Children and subsequently, Special Schools. The feedback she’s received from Deputy Headteachers and Headteachers who moved over from mainstream to SEN was that they felt they can really have a positive impact on students, due to smaller class numbers. Special Education is much more focused because every student learns and reacts to stimuli differently. Many Special Schools focus on nurturing their students, looking at background problems and helping to implement strategies that get to the root cause of issues. Another reason why SEN may becoming more popular is that Special Schools days are shorter than mainstream school days. As well as this, there is a flexible curriculum and fewer class requirements. These factors work hand in hand to benefit many special education teachers, they give them more time to balance work and their personal lives – which we all know is an important factor to decreasing in teacher burnout! 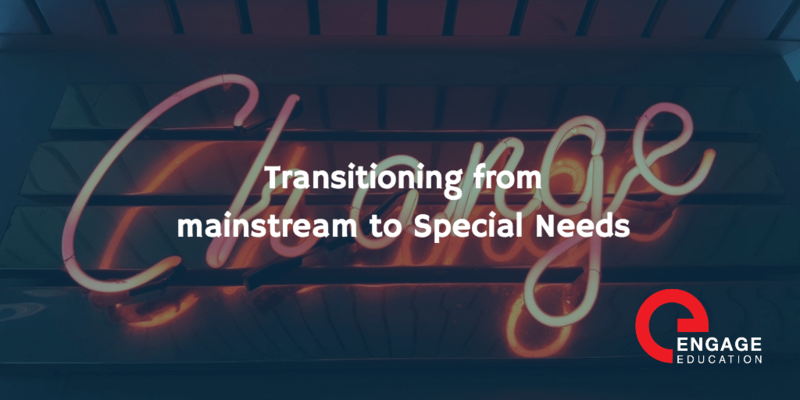 The relatively lenient nature of Special Schools schedules allows special education teachers to step away from the grind of their job on a regular basis so that they can be more focused in their day-to-day roles working with special needs children. For teachers looking for something between a part-time and a full-time job, becoming certified as a special education teacher may be ideal. Would I suit teaching in a Special Education setting? Why not ask your agency if they can arrange a few trial days for you in different types of Special Education schools, this is a great way to not only gain experience but get more of an understanding about special education without committing to a job. Our Special Education team offer taster days within special needs settings.